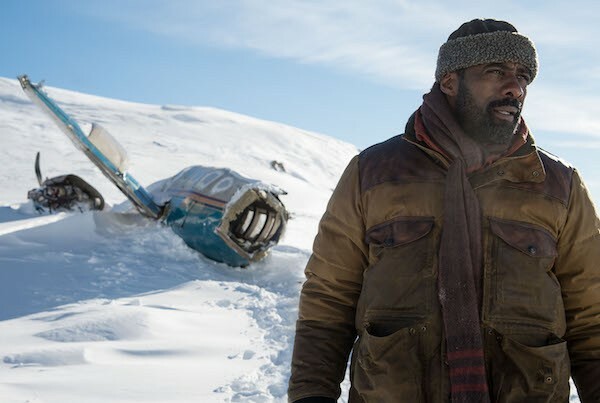 An adaptation of the novel by bestselling author Charles Martin, The Mountain Between Us casts Idris Elba and Kate Winslet as surgeon Ben Bass and photojournalist Alex Martin, two of the many folks stranded at the Salt Lake City airport during a particularly nasty snow storm. Their flight has been cancelled, but neither can afford a delay: Dr. Bass has an important operation to perform, while Alex is getting married. Although strangers, they agree to charter a small plane together, a fateful decision once the small craft goes down in the Utah mountains. From there, The Mountain Between Us turns into an old-fashioned survival yarn, as Ben and Alex battle the elements and, occasionally, each other (he thinks they should wait with the plane until help arrives; she thinks they should make their own way down the mountain). As both an adventure yarn and a love story, the movie often stretches credulity, yet what sells it are the compelling performances by its two stars. They’re both excellent, and when the saga continues beyond where most other movies would have it end, they provide the glue that holds the increasingly diffuse project together. In short, their presence helps make Mountain more than just a molehill of a movie.